Orthotic is Greek for “to straighten” or “align”. If your dog suffers with arthritis, hip dysplasia, rheumatism or another condition common to older dogs, the Snuggy Boots Orthotic Dog Suspenders lend support to your pet’s joints. The Suspenders System has four powerful braided elastic leg tensor straps that attach to dog booties on each paw. When you adjust the four straps attached to the dog boots your pet will feel the elastic “bounce”. This bounce will support and “align” your dog’s leg with his body so it’s easier to walk. 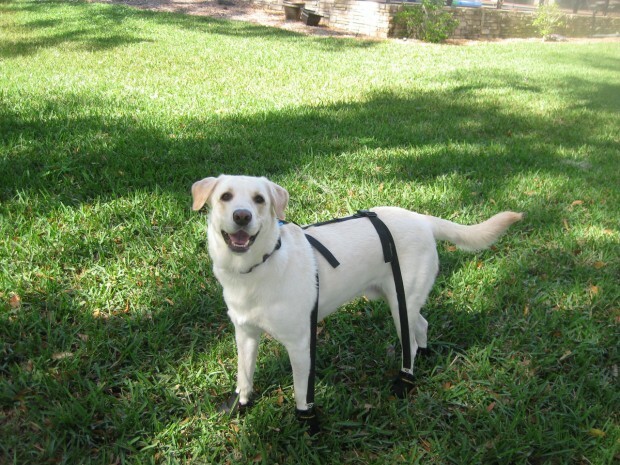 It may take a little getting used to, but many dogs get the hang of walking with the Snuggy Boots Orthotic Dog Suspenders System within a few minutes. Our customers (and we see on our own dogs) that the additional support seems to make it easier for dogs with arthritis, hip dysplasia and other painful joint conditions to walk. The elastic straps act as a guide for the dog’s legs and gives them stability. The suspenders support all four joints in their legs and give them a “lift”. This lift takes some of the pressure off their joints so it’s less effort to walk and they’re able to go farther and get their needed exercise. Exercise is beneficial to dogs with mobility issues such as hip dysplasia and arthritis because it keeps the joints nourished. When the dog goes for a walk, the movement sends synovial fluid through the joints bringing those joints needed nutrients so they stay looser. Lack of exercise can actually make the arthritis more painful because the joints get stiff. My dog Sandy has mild arthritis in her right front paw. She is being treated by the vet and I give her Glucosamine and Omega 3 Supplements. But there are still a lot of times when she doesn’t want to go for her evening walks. She simply walks a few feet, turns around, comes back and sits down. So I purchased a pair of dog boots with the thin flexible rubber soles with a Velcro strap and your Snuggy Boots suspenders to keep them in place. It takes about three minutes to put the boots and suspenders on, but Sandy now walks a lot faster and travels much further before she wants to rest. Our walk goes about 20 minutes faster now. I know the shoes do not do anything for the arthritis, but something about those suspenders makes her walk more comfortable and without limping. I’ve been told it may have something to do with extra leg support and cushioning. It’s stories like these that keep us passionate about the Snuggy Boots Orthotic Dog Suspender System. It can help dogs with neurological problems too. These dogs drag their paws, their toes or their hind legs due to accidents or brain trauma and the orthotic suspenders help lift the hind legs and prevent dragging toes. The Snuggy Boots Orthotic Dog Suspender System pairs with dog boots of all types to protect your dog’s paws from the elements. 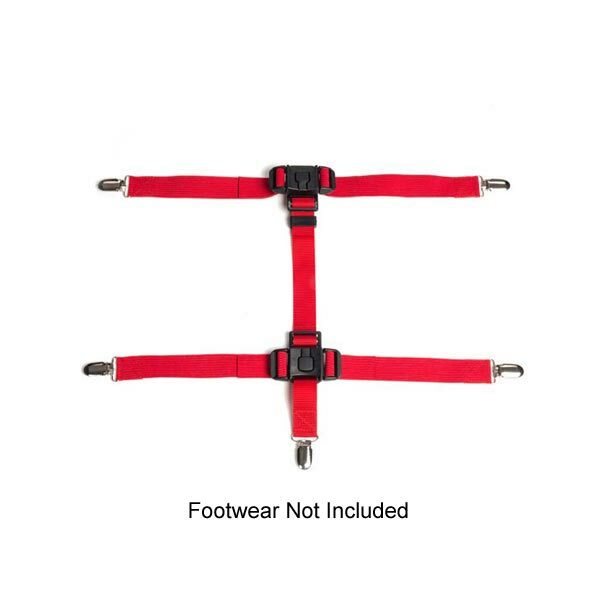 If you have existing dog boots, you can order the dog suspenders on their own or you can purchase the complete dog boot and suspender system here.